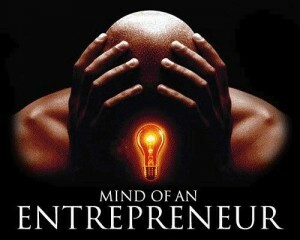 The Mind of An Entrepreneur… always thinking head! As an entrepreneur, one enviable important trait you should seek to develop is that of “think ahead” of any approaching action. Simply, it’ll give us the advantage. Sure, we all want to be winners. It’s like being in the army. Time is of the essence, and being a head 15 minutes to half-an-hour for anything, is basically the same as keeping a little ahead of conditions. And that is one of the all time secrets of business. For instance, the time to start your marketing is now. Not tomorrow. Not next week. NOW! Even if you have all the business you could ever handle right now. Therefore, it is always important to try to do things long before they need to be done. Sometimes, I’ll see a book at Amazon.com, but have no immediate need for it, but deep down, I know that it will be of some benefit down the road… and so I’ll purchase it. Right now, I’ve books on my bookshelf that I’ve not yet read. But, do you worry, I know the right time is coming when they will be useful. The important thing is that I’ve them, and when I really do need them, they’ll be right there ready and willing to spill their pages. Recently, I read that you should “let your advance worrying become advance thinking and planning.” That is so true, and as an entrepreneur, you need to position yourself ahead of time… it’s the best place to be. Remember: when you do what is necessary, all the odds are in your favour. So, do the next best thing.